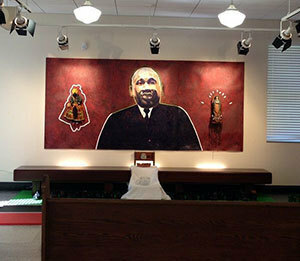 The Crossroads Gallery for Contemporary Art of the University of Notre Dame Center for Arts and Culture (NDCAC) will host “Sueños Sin Fronteras/Dreams without Borders: Ofrenda in Honor of Martin Luther King Jr.,” a Day of the Dead celebration, from 5:30 to 8:30 p.m. Oct. 16 (Wednesday) at 1045 W. Washington St., South Bend. The event is free and the public is invited. The “ofrenda,” or offering, will be created by Diógenes Ballester, an internationally renowned Puerto Rican artist from New York City, in recognition of Martin Luther King Jr.’s 50th anniversary of the march on Washington, D.C., as well as his visit to South Bend and Notre Dame. Musical performances will be provided by Luther Gray and Mariachi ND. Gray is an internationally acclaimed percussionist from New Orleans and will perform with band members from Chicago. Refreshments will be provided. Dia de los muertos in Mexico, and now in the U.S. where large Latino/a populations are found, is a day to celebrate and remember those who have departed. Hispanics believe that the spirits of the dead visit their families at midnight on Oct. 31 and leave on Nov. 2. During this celebration in Mexico, the streets near the cemeteries are filled with parades and decorations of papel picado (perforated paper), flowers and candy calaveras (skeletons and skulls). As part of these celebrations, families make altares (altars) and place ofrendas of food — such as pan de muertos, bread of the dead, baked in shapes of skulls and figures; candles; incense; yellow marigolds known as cempazuchitl; and most importantly a photo of the departed family member. For this year’s NDCAC Dia de los muertos celebration, Ballester will create an ofrenda in honor of King, an American clergyman, activist and leader in the African-American civil rights movement. The title of the installation is “Altar de la Libertad/Altar of Freedom: Opening Paths in all Directions.” Ballester has created a contemporary-style altar using many of the traditional elements. The community is invited to participate in adding objects to the installation that symbolize King’s leadership and spirit, such as keys, shoes and rosaries. Ballester is a visual artist, educator and writer and holds a master of fine arts degree from the University of Wisconsin-Madison and a bachelor’s degree from the Catholic University of Puerto Rico. As a youth, he attended the prestigious Miguel Pou School of Visual Arts and studied at the Ponce Museum of Art in Ponce, Puerto Rico. Ballester works in different artistic media including painting, printmaking, drawing, new media and installation art and is recognized as a master encaustic painter and printmaker. 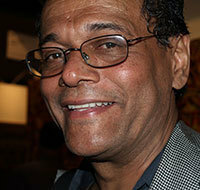 He has received numerous honors for his artistic work and has exhibited widely in the United States, Europe, Asia, Latin America and the Caribbean. This program will also include music by renowned percussionist Luther Gray from New Orleans. Gray received his B.A. in radio, television and film from the University of Wisconsin, Madison and his master’s in communication from the University of Wisconsin, Milwaukee. He has created two major musical groups: Percussion Incorporated and Bamboula 2000, for which he has twice won the Big Easy Music Award in the world music category. Gray is also credited with the founding of the Congo Square Foundation in 1989, whose goal is to bring cultural activities and drumming back to the historic Congo Square in New Orleans. This community collaborative Dia de los muertos celebration is part of “The Africana World: A Historical and Cultural Mosaic” series coordinated by the Office of Public Affairs and Department of Africana Studies at the University of Notre Dame. Related events will also be held from 7 to 9 p.m. Oct. 25 (Friday) at the Indiana University Civil Rights Heritage Center at the Natatorium. The Institute for Latino Studies will host a Dia de los muertos reception from 4 to 5:30 p.m. Nov. 1 (Friday) in McKenna Hall at the University of Notre Dame. This celebration is made possible in part by support from the Institute for Latino Studies, Letras Latinas, Department of Africana Studies, the Kellogg Institute for International Studies, the Office of Community Relations, the First Year of Studies program, Office of the Provost, the Snite Museum of Art, Entergy New Orleans, Saint Joseph Regional Medical Center and the Indiana University Civil Rights Heritage Center at the Natatorium. The NDCAC provides distinctly premier educational opportunities and inspiration via the creation and appreciation of art, the study of cultures, and community engagement. The NDCAC is located in the West Side of South Bend in a neighborhood that is undergoing responsible change in community development. For more information, visit artsandculture.nd.edu. Originally published by Gilberto Cardenas at news.nd.edu on October 03, 2013.